Hey everyone, welcome back to “Alex’s Foreign Foray”. 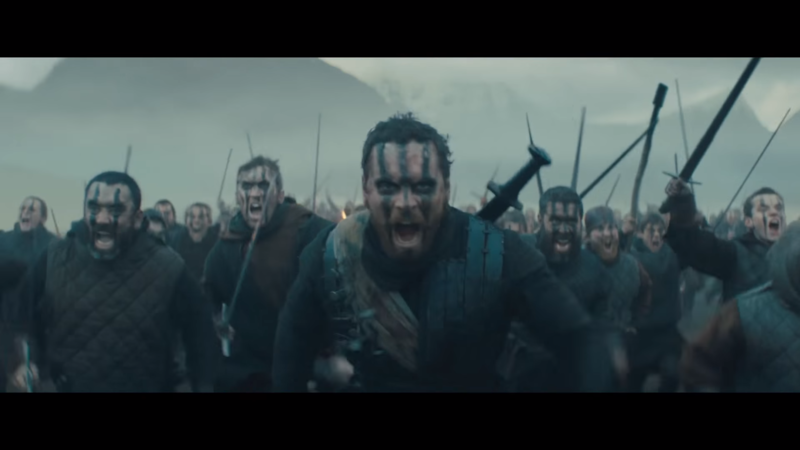 Today’s segment focuses on the 2015 English film Macbeth, directed by Justin Kurzel and adapted from the play by William Shakespeare. If you’re new to the series, I’ll give you a quick little rundown. 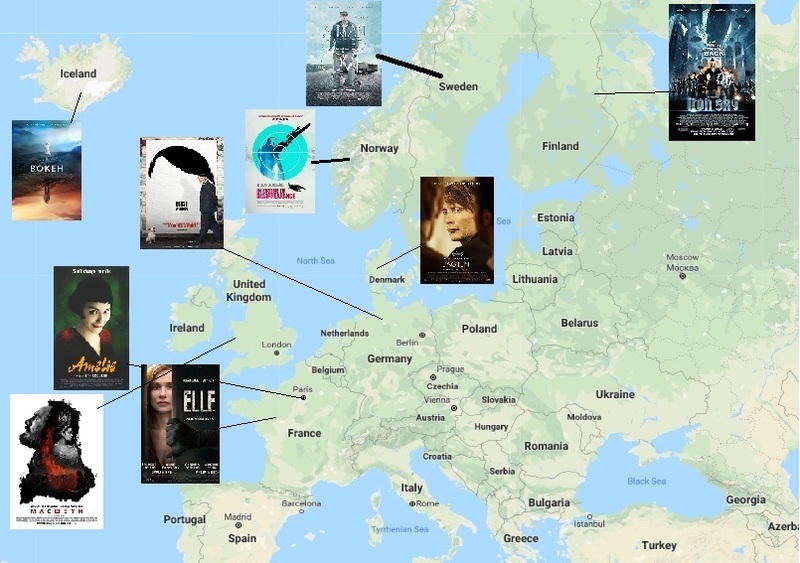 Alex’s Foreign Foray is a series of reviews where I move around from country to country and watch foreign films. I do this because prior to starting the series, I’d seen close to none. Sometimes the films are classics, sometimes they are newer. You can see the map at the bottom and see the path we’ve taken so far. You can also click the “Foreign Foray” tag here or at the bottom to read the reviews from previous weeks. Our journey continues this week as we move from France to the United Kingdom. The style from last week sticks, as we’re going through the film spoiler free (as spoiler free as you can be with a 400-year-old play). Adapted from the play of the same name, Macbeth follows the titular Macbeth, the Thane of Glamis. After receiving a prophecy that he will be king, Macbeth’s ambition for more power and his wife’s motivation drives him on a path of murder and destruction. There have been many adaptations of Macbeth over the years. This one, starring Michael Fassbender and Marion Cotillard, is certainly one of the most cinematic and epic of them all. Kurzel’s adaptation uses Shakespeare’s dialogue but cuts some scenes to save time and to maintain a single tone (most notably absent is the famous “Knock Knock” scene). The script is good overall. It knows what to cut to maintain a serious tone and move the plot along. It also helps this is Shakespeare’s shortest tragedy. I didn’t find there to be any pacing issues and the film moved along quite nicely. Of course, having Shakespeare dialogue is hard enough at times to follow, let alone if you have bad actors. 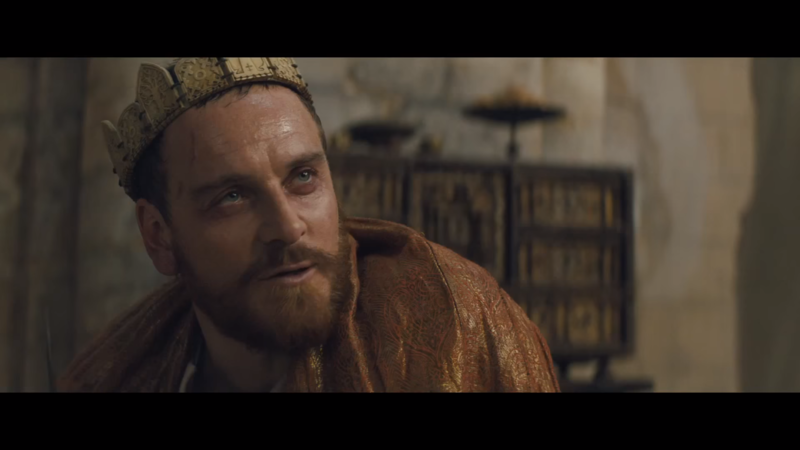 Fassbender and Cotillard are both fantastic in the lead roles of Macbeth and Lady Macbeth. Spurred to action by Cotillard’s wonderfully devious words, Fassbender’s Macbeth’s descent into madness is fascinating to watch and simply one of his best performances. Cotillard’s take on Lady Macbeth’s “out damned spot!” soliloquy is simply astounding and should have easily gained her another Oscar nomination. The supporting roles of Macduff (Sean Harris), Banquo (Paddy Considine), and Duncan (David Thewlis) are all excellent as well. 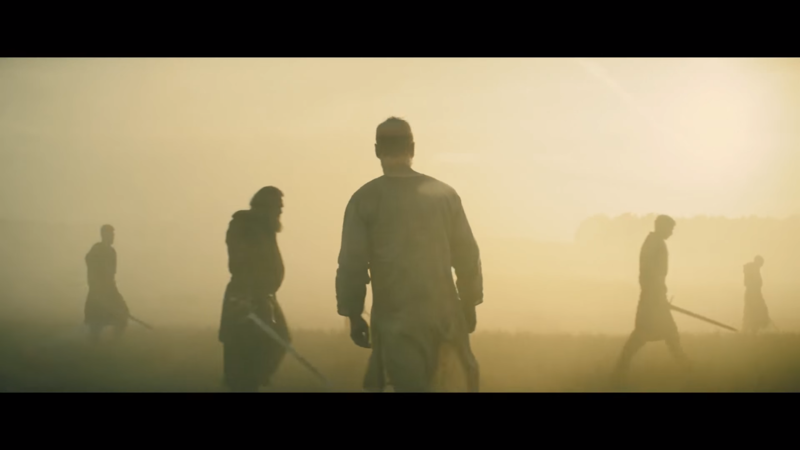 They all provide for great foil to see just how mad Macbeth is becoming, with Harris’ rage late in the film being the most impactful supporting performance. Jack Reynor’s turn as Malcolm is the weakest performance of the main supporting roles, but that’s more on Shakespeare for not giving Malcolm much to do. 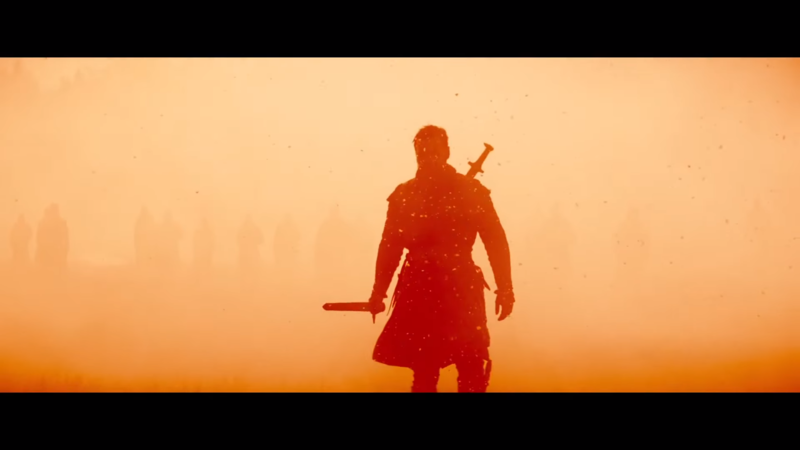 Macbeth is shot beautifully. Dark colours and bright oranges provide for great visuals, but also have meaning. 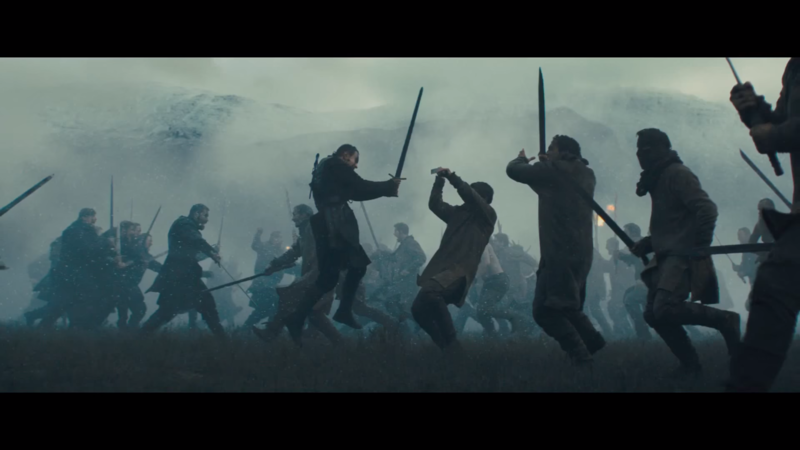 The fiery final battle conveys the burning rage of Macbeth and Macduff, and the camera work is hectic and gritty. Long shots are used to convey isolation, while close-ups to show madness and getting us closer to the minds of the characters. The aforementioned “out damned spot!” scene is shot in one unbroken take, with the camera zooming in slowly to show the change and destruction of Lady Macbeth. Fantastic stuff. I do honestly think that this has been my favourite of the Foray films so far. It’s mostly due to the cinematography and performances, which elevate this from a standard Shakespeare adaptation to something truly cinematic. Rarely does an adaptation ever take full advantage of being in the medium of film, but Kurzel brings a brutal and bleak look to Shakespeare’s play about the dangers of ambition. Macbeth was very engrossing, more than I expected it to be. The cinematography was breathtaking, conveying strong imagery while being stunning to look at. The performances brought to life a brutal and crazy depiction of Shakespeare’s work, truly showing the madness and brutality the quest for power can have. Macbeth is available both on Blu-ray and digital. NEXT TIME: The journey continues as we move from the United Kingdom to Spain to take a look at the film The Devil’s Backbone, by (one of my favourite directors) Guillemero del Toro. It also marks the tenth episode/segment of the series! Time surely flies.